Last Thanksgiving I followed the advice of the wine manager at Whole Foods and bought a Loosen Brothers Riesling to drink with our roast turkey. It was a good wine, consistently interesting, which is perhaps why it was recommended to accompany a meal that could become too traditional and boring. However I found it to be too sweet for my taste, almost distracting to the meal. I found myself reluctant to pull the bottle out of the fridge. Because I was also reading Janet Fletcher's Cheese and Wine, I saw that she recommends a sweet wine to be paired with gorgonzola. I decided to put her advice to the test, and returned to Whole Foods and bought two styles of that strongly flavored blue cheese: A gorgonzola "dulce", a "sweeter" and very soft, mild gorgonzola that spreads like a brie, and a hardy "picante" gorgonzola, riddled with blue veins and cut into the traditional wedge shape. 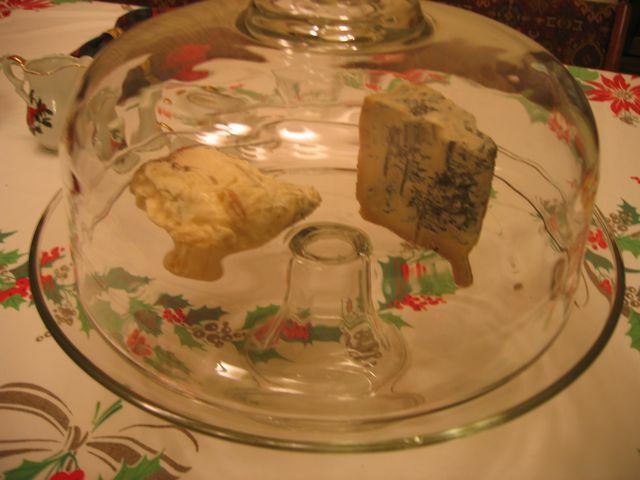 When we went to taste the cheeses, I realized that these represented two extremes of flavor, from the relatively mild to the very robust, almost over-ripe and intensely flavored, sharp gorgonzola. Then I sipped the Riesling, and sure enough, the wine had an amazing ability to knock the hard edges off the cheese and enhance the rich undertones of flavor. The bonus was that the flavor of the wine was improved too, such that it's sweetness and acidity were even more nicely balanced. Just to round out our gorgonzola and wine taste test, I pulled out a red wine--a nice malbec from Argentina that I enjoy--and poured a taste to try with the cheeses. Blech!!!! It was revolting. Really. I had to taste a few different things to get that flavor out of my mouth. That effectively ended the tastings for the day! Lesson learned: pairing wine and cheese is more than an art, in some cases it is self defense for your taste buds! What else to do with such an intense gorgonzola, I wondered? I bought a steak and planned to make a blue cheese sauce to accompany it, but that meal came and went without the sauce. (Life got busy). My son Ethan won't mind another opportunity to eat steak. I also bought some beets to roast and serve with crumbled gorgonzola, which is one of my favorite ways to eat it. I've been thinking of getting rid of the covered cake plate I bought at a thrift store lately, because it's awkward to store and I don't serve cake or cookies all that often. However, now that I am exploring food and wine pairings, I realize it makes a great cheese server, and it has earned its way back into my limited cupboard space. So even my dishware is getting more life. Sweet! 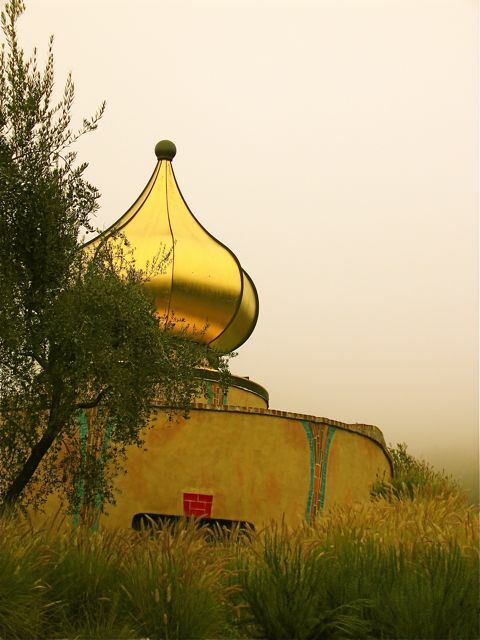 One glance at the golden onion dome of the Quixote Winery in Napa California lets the visitor know: You are about to encounter a taste of serendipity, beauty and the magic of dreams made real. My visit to Quixote last Sunday was a deeply satisfying aesthetic experience on many levels, and that is precisely because the proprietors, Carl Doumani and Pamela Hunter, spent over three decades planning it that way. Quixote is not just about the wines, which are magnificent. It is about the way these people inhabit the local environment and express their philosophy of life through cultivating grapes, through organic farming practices, through architecture, art, and winemaking. The wines of Quixote taste of this all encompassing vision brought to fruition in a glass, and it tastes sublime. 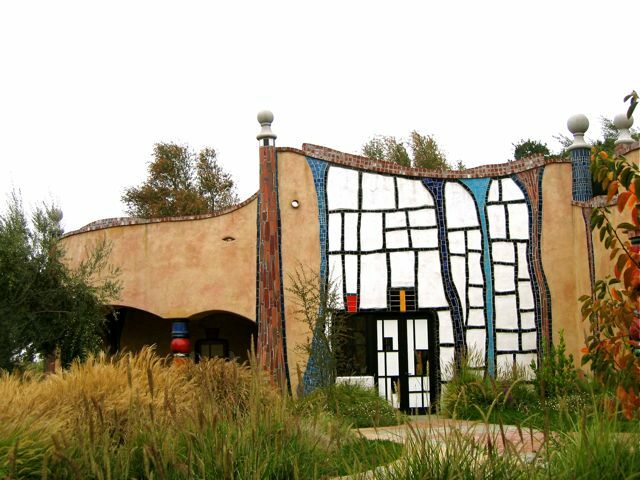 The first impossible dream was manifested when the Doumani's seduced the famously eccentric artist and architect Friedensreich Hundertwasser into taking on their building project, which was often interupted by his projects in Europe. Hundertwasser's design philosophy is everywhere evident at Quixote: color is vibrant, buildings are planted with trees, no straight lines and, oh yes, there must be a golden turret somewhere in the plan to acknowledge the crowning achievements that human creativity can accomplish when unleashed. Done! Yet this is human activity that is organically related to the environment, not superimposed. 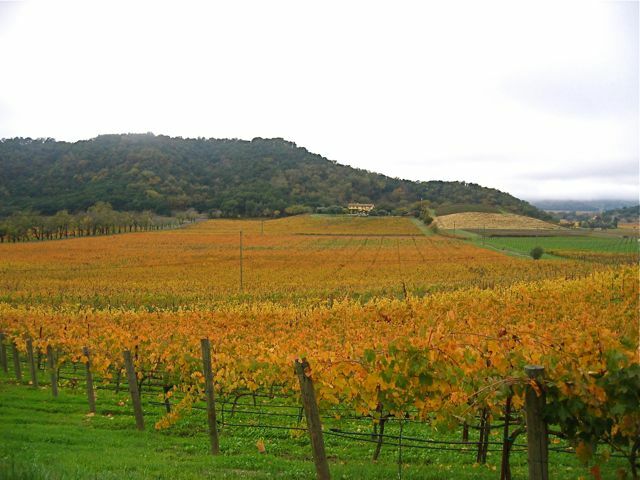 The vintners at Quixote have made a continuing study of the various micro climates and soil compositions on their own plot of land, and farm it accordingly, using organic practices they have researched from friends and learned through trial and error, often expensively. When asked what he does to farm organically, Carl replied "It isn't so much as what you do, it's what you don't do." That's a humble answer from a man who used a cup of worm casings for every root stock he planted, tilled out zillions of tiny rocks from the land, and experiments regularly with the latest wisdom in organic pest control and other arcane methods to ensure an abundant and healthy crop. Later at the wine tasting, the lively and vivacious Petite Syrah and the complex, velvety and mature Cabernet Sauvignon said it all without words. Relishing the wine, the impossible dream suddenly isn't so elusive after all. 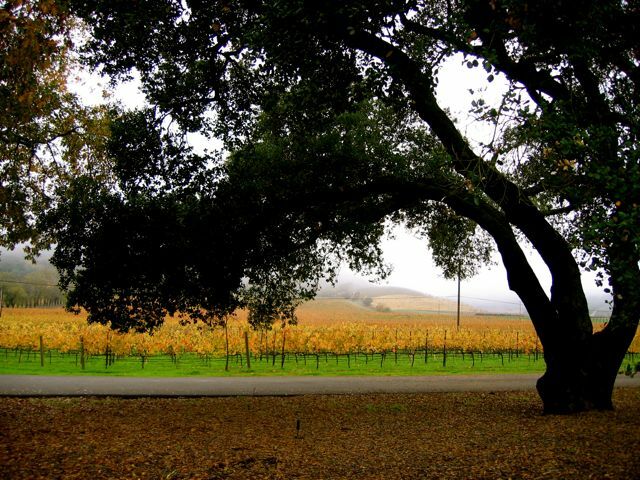 If ever there was a wine that is more than the sum of it's components, it is that being created at Quixote. Choose among their Panza or Quixote label Petite Syrah or Cabernet Sauvignon. You may purchase Quixote wines and learn more about them here, or at select retailers such as Corti Brothers here in the Sacramento area. (Note: They are currently sold out, but I am told that Corti Brothers does regularly stock Quixote wines). Next up: Tantalizing cheeses to accompany a great wine. The sense of smell is as important, or even more important, to the enjoyment of of the taste of food and wine as are the responses of the taste buds on our tongue. However I suffer from a somewhat uneducated or under-sensitive sense of smell. This has often caused me consternation and frustration. There have been times when I have wondered if I have a form of "olfactory blindness", similar to the color blindness that others suffer from. My sister says she cannot smell anything at all! Whether these are genetic or psychological issues, or some combination of the two, is unclear. However as someone who loves both food and wine, I have a strong interest in doing what I can to enhance whatever discernment I have in the area of scent perception. Ann C. Noble understands my plight. 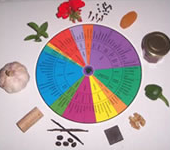 As long ago as 1990 she created a remarkable tool called the Wine Aroma Wheel. This tool describes the aromas commonly associated with the variety of wines, further delineated into categories of red, white and sparkling wines. She suggests ways to train your nose by comparing odors from non-wine sources such as asparagus, cloves or honey (for white wines), or bell pepper and anise (for reds). Of course there is some overlap (vanilla) for all types of wine. She also includes a methodology for training your nose to discern "off" odors that indicate oxidation or cork spoilage. Truly this is a great service to someone like me. Training my olfactory sense through wine appreciation will enhance my ability to appreciate not only wine but the whole sensory world that can be apprehended through my schnozz. And even if I do have some olfactory disabilities that are genetic, at least I can strengthen and enhance what sensibilities I do have. And besides...who couldn't use another tool to pair great wine with great food? Anna over at Everyday Wine Pairings tagged me with the question: What is the best food and wine pairing you have had in the last month? Or at least--I think that was the question. This was a moment of high drama for me, because despite my love of wine and desire to learn more, I have been anything but adventurous with wine lately. So I thank Anna for finally getting me to act on my curiosity! 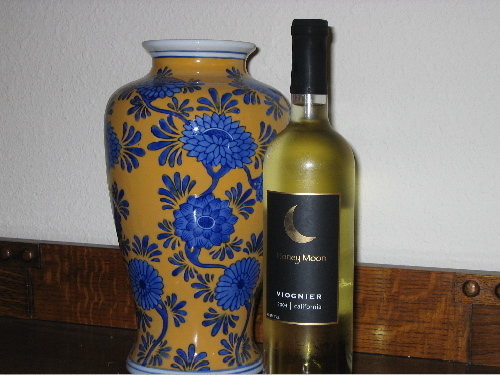 That day I walked in to Trader Joe's and was attracted by the label of this lovely "Honey Moon Viognier". (Yes, I have a wine label fettish--but that is a topic for another post.) My first thought was "What the heck is a viognier, and how is it pronounced?" In my mind, silently, so as not to embarass myself, I say "voyne-yay", as if I were offering congratulations to a......voyne. The label says it is a "rare and stylish grape". So this is a "varietal", I presume. But I digress. Anyway the sign said this 2004 California wine was the gold medalist at the state fair, earning 95 points by the wine snobs judges. The price was very affordable (five bucks maybe?) and it looked like I had found my low-risk candidate for a wine tasting. I paired the wine with Chicken a la King, which was good but perhaps not the most interesting companion. Nevertheless, the wine was a very pleasant surprise: highly aromatic, light and fruity, mild sweetness and a very long and delicious finish. This was an excellent choice for my first official "I am actually going to pay attention and make note of this" wine tasting. 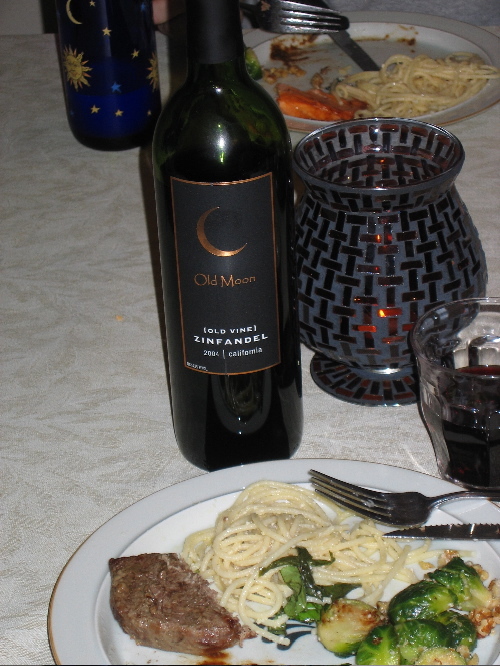 This is another offering from the same winery: "Old Moon (Old Vine) Zinfandel, 2004." This was served with a steak, walnut-parmesan dressed brussels sprouts and some left over lemon pasta. The zinfandel was bold and not too much tannin was in evidence, and I enjoyed it. The same sign at Trader Joe's informed me that this was the Bronze medalist at the fair, earning 85 points. This was also a bargain wine, good for hearty dishes as the weather begins to turn. I would buy it again. Anna, this was fun! It is a challenge for me to build a working vocabulary for wine. 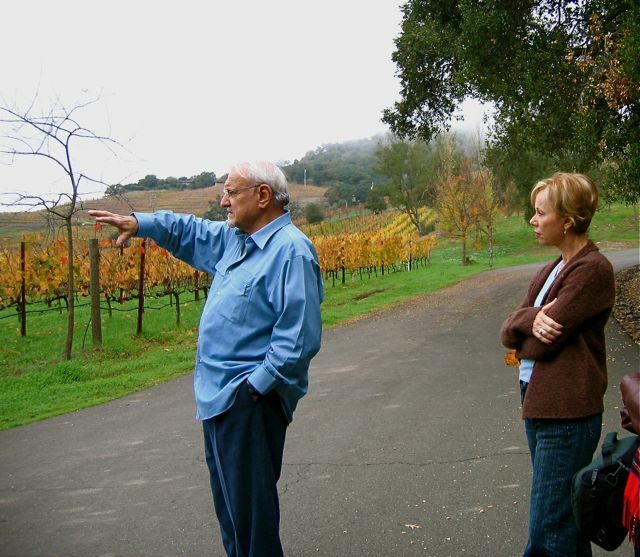 I raise a glass to you and look forward to exploring many new wines in the years ahead.